Product #5567 | SKU JAB70501 | 0.0 (no ratings yet) Thanks for your rating! 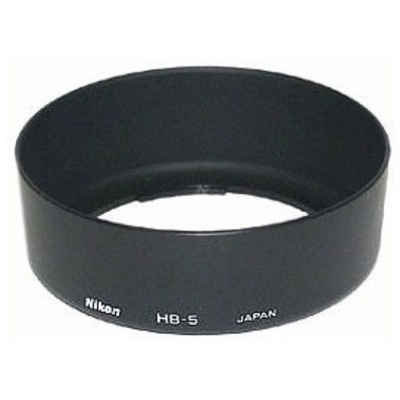 Dedicated to the Nikon AF Zoom-NIKKOR 35-105mm f/3.5-4.5D IF lens, the HB-5 Lens Hood helps to minimise flare by deflecting stray light from entering the lens. The hood also provides additional protection to the lens from accidental impacts, bumps, or scratching. It is offered here as a spare or replacement for the hood originally included with the lens. Box Dimensions (LxWxH) 3.4 x 3.4 x 1.0"